Editor’s Note: This is part three of a three-part series exploring the history and significance of D-Day as we approach the 70th anniversary of the battle. Click here to read part one and here for part two. For information on D-Day: Normandy 1944, the 3D film now showing in the Wortham Giant Screen Theatre, please visit us online. 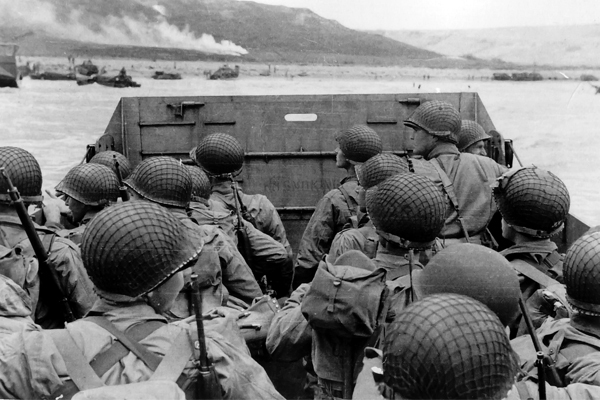 Landing craft approaching the beach at Normandy, June 6, 1944 (Image: Wikimedia). Soviet soldiers hoisted their banner on top of the Reichstag in Berlin. Less than a year separate these two images. On June 6, 1944, the Allies invaded France; on May 2, 1945, Soviet soldiers hoisted their banner on top of the Reichstag in Berlin. For the Allied armies advancing on Berlin, these intervening 11 months were anything but a cakewalk. In France, German defenders stubbornly resisted the invasion. Hedgerow country in Normandy, known as the Bocage, offered them shelter and hiding places. 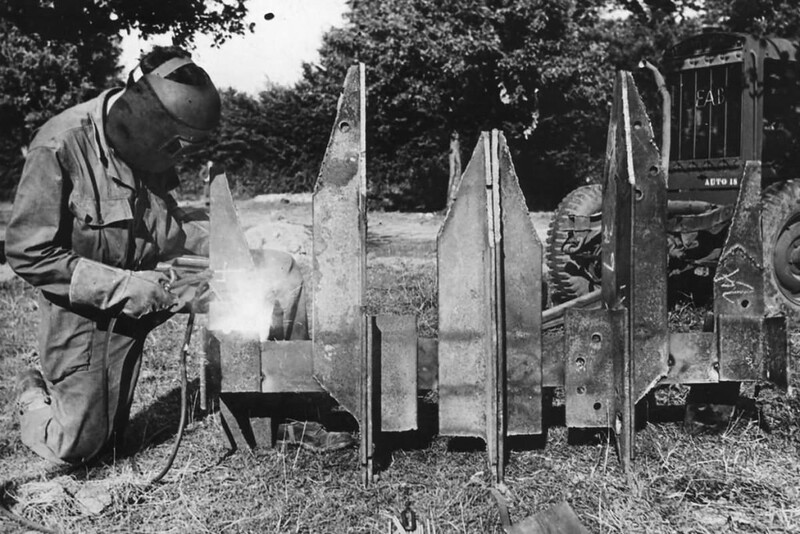 It was only after an enterprising individual had equipped the front of a tank with sharp steel spikes that it became possible to drive though the hedges and overwhelm German defenses. – Pamphlet dropped in Germany by the RAF, Summer 1942. On the eastern front, Soviet troops continued their march westward. German resistance crumbled. The appearance of advanced technology, especially jet-powered airplanes, came too late and in insufficient numbers to make a difference. V-weapons, meant to exact revenge on Allies cities such as London and Antwerp, caused great loss of life. They did not, however, reverse the fortunes of war for Germany. By now German units were fighting on their own soil, in the east against Soviet forces nearing Berlin, and in the west against Allied forces occupying the industrial Ruhr area on their way east. Soviet and American forces eventually encountered each other at a crossing over the Elbe river. As they penetrated deeper into Germany, Allied soldiers liberated thousands of concentration camps. Evidence of the Holocaust became widely known abroad. Soviet troops captured Berlin, sustaining and inflicting horrific losses. On April 30, 1945, Hitler committed suicide. Two days earlier, Benito Mussolini had been captured and killed in northern Italy. On May 7, 1945, Germany unconditionally surrendered and the war in Europe was officially over. 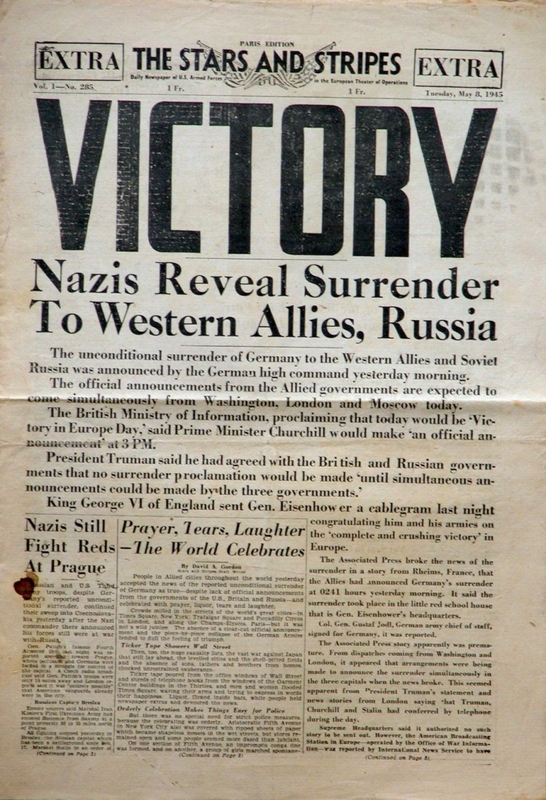 All over Europe and the U.S. people celebrated Victory in Europe (VE) Day. May 8, 1944 issue of Stars and Stripes (Image: Wikimedia). Hostilities were not yet over. In the Pacific theater, the war against Japan continued. Two atomic bombs dropped on Japan brought the bloody conflict to an end some three months after peace came to Europe. As far as Europe is concerned, one can confidently say that the D-Day invasion marked the beginning of the end for the Third Reich. Forced to fight on two fronts, Germany ran out of men and material. D-Day: Normandy 1944 now showing in the Wortham Giant Screen Theatre. 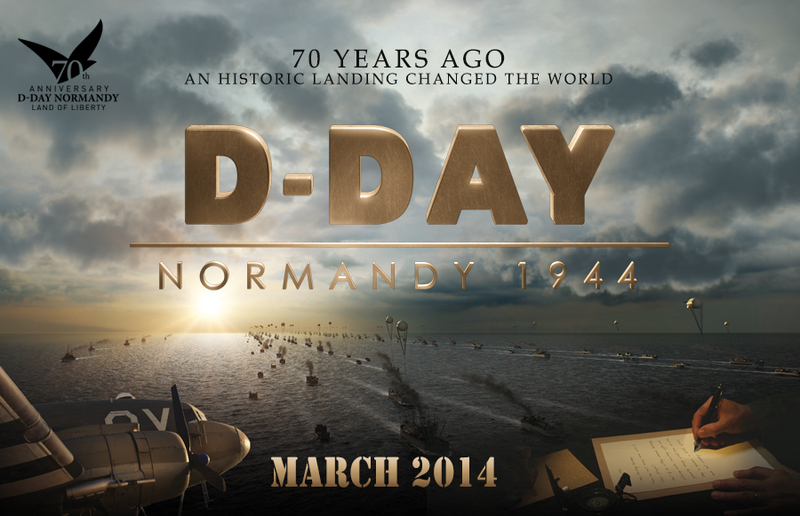 The Houston Museum of Natural Science’s Wortham Giant Screen Theatre is now showing D-Day: Normandy 1944. The film is running exclusively at HMNS in the Houston-Galveston area through November 11. In honor of the 70th anniversary of D-Day, on Friday, June 6 we’ve added additional screenings of D-Day: Normandy 1944 (at 5:00 p.m, 6:00 p.m. and 7:00 p.m.) in the Wortham Giant Screen Theatre. Thanks to a generous donation from Gallery Furniture, all military personnel (active duty and veterans) can see D-Day: Normandy 1944 for free. We’re also starting our Take Two series this month in the Wortham Giant Screen Theatre beginning Friday, June 6 with a showing of Saving Private Ryan (8:30 p.m.) and on Friday, June 13 with The Longest Day (7:00 p.m.). Local support is provided by Gallery Furniture and IBERIABANK. Texas! Jusst wаnted to say keеp up thе gooɗ job!